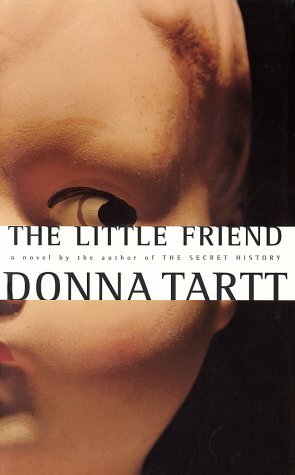 This is the third book I’ve read by Donna Tartt. Compared to The Goldfinch and The Secret History, it fell a bit short. While I wasn’t nearly as captivated by the characters or setting or plot, Tartt is still a masterful storyteller. She has a unique way of placing readers inside the scene instead of keeping them on the periphery. She knows how to show instead of tell. The Little Friend begins with the jarring knowledge that nine-year-old Robin was found hung from a tupelo tree in a small, fictional town in 1960s Mississippi. Autopsy reveals that he was strangled first, then hung, a curious tragedy that never got solved. The story picks up a decade later with a family that never recovered. There is also the grandmother and her three sisters, a quad of old spinster women who busy themselves with the keeping of tradition. Harriet is presented as the most mature person of the bunch, save their maid, Ida Rhew, who seems to know and see all. But as Harriet sets off to find and punish the person who murdered her brother, she creates a storm of trouble for herself, her family, and the Ratliffs, the family whom she suspects is behind the crime. The book is 555 pages and heavy on character development. (The most exciting parts of the book occur in the last 50.) It’s a Southern Gothic novel fraught with racial inequalities, white trash families, and the very worst of a heritage we wish never existed. It moves slowly in the way that’s irritating, even when the sentences are beautifully written. Yes, it’s my least favorite of the three (plot-wise and otherwise), but I still love how Tartt weaves a narrative. I’d pass on The Little Friend and forever encourage you to read The Secret History. It’s outstanding.